Your organization collects data every time a team goes to the field, but is this data fully utilized, or is it lost within a PDF document? Would you like to visualize your NGO’s core information on a map in order to get a better sense of where the needs are and, therefore, to plan your activities accordingly? Do you want to implement a new activity but only have the name of the village and are unsure where that village is? 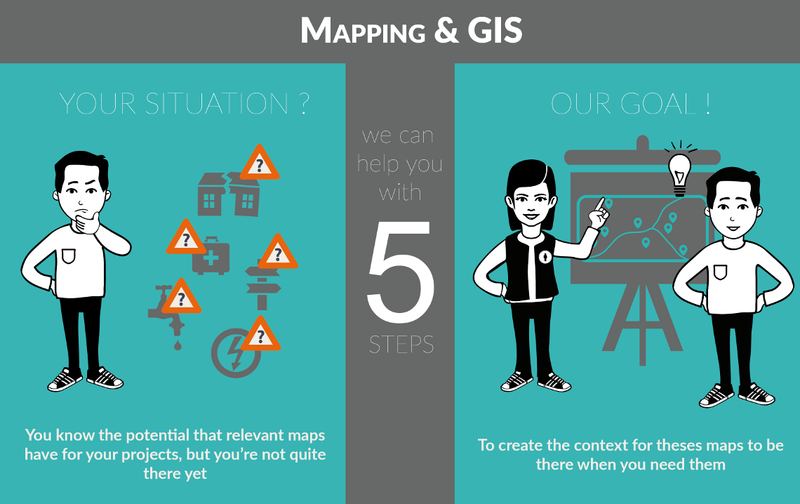 The saying “a picture is worth a thousand words” could not apply better than to GIS applications: using a map, you can visualize at a glance where needs are and where resources are, and then to analyse how best to link the two. 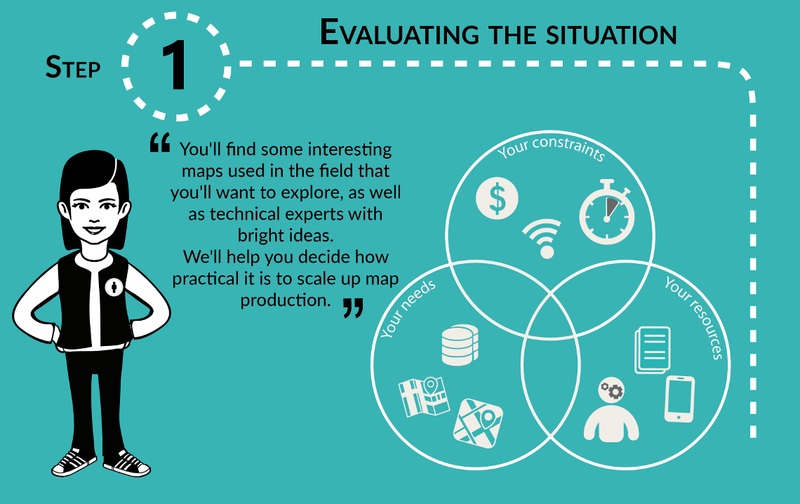 Having a geographic overview of a situation can dramatically improve evidence-based decision-making. From printed base maps (where infrastructure data provides a good overview of a region) to sector-specific dynamic maps (to quickly visualize the evolution of a situation through time), geographic information is vital for a good understanding of a situation. 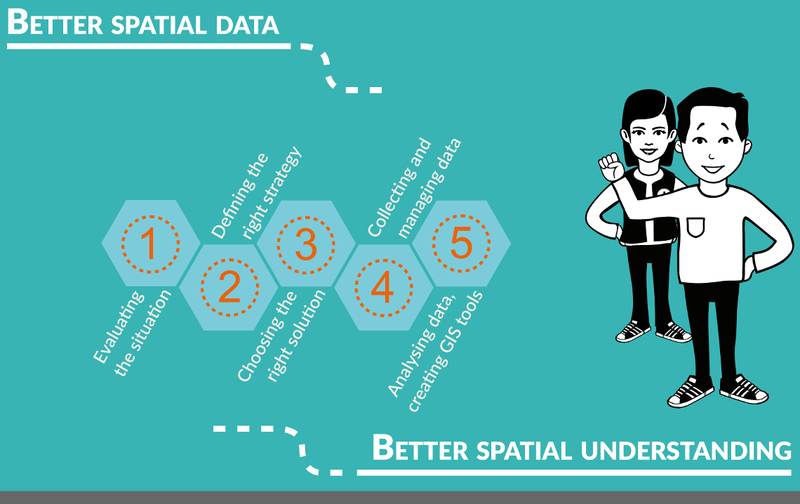 In order to be able to produce maps, you need to find the existing geographic data and ensure your sector data is in a usable format. 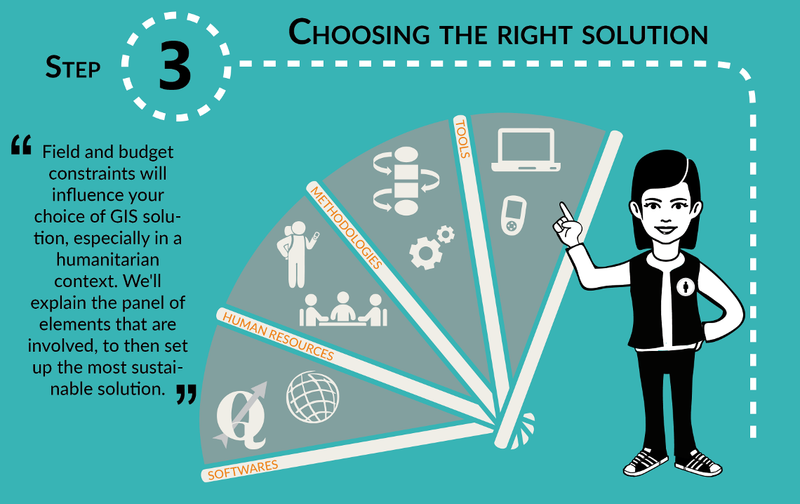 You also need to conduct analysis relevant to each sector. A GIS strategy allows you to define standard procedures that optimize workflow and ensure that GIS products reach the people who require the information. 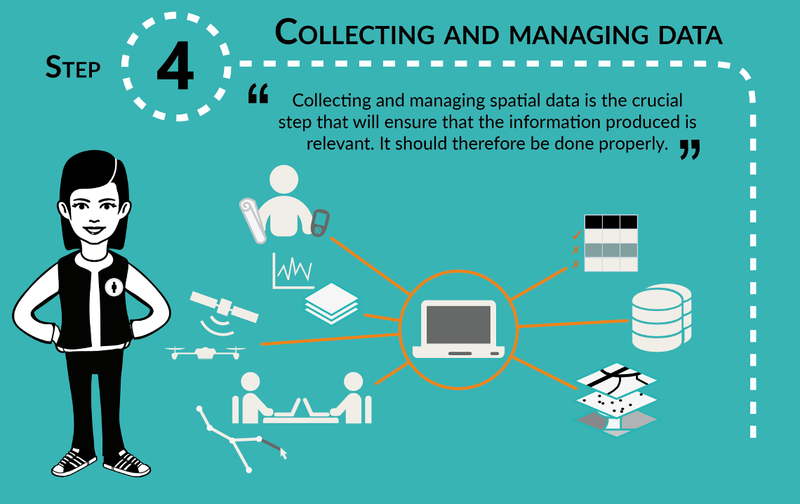 CartONG assists humanitarian organizations in their GIS work with any or all of these steps. 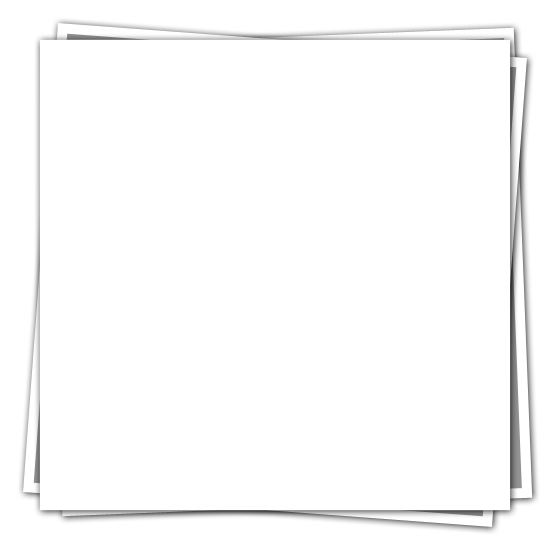 You can also visit the Information Management and Capacity building pages as they are related. Direct GIS support has been provided for MSF in 2014-2015. First deployments were to support their Ebola response in the 3 most affected countries. As GIS gained in popularity within the movement, more GIS missions were requested, for other epidemics such as Measles, Dengue, etc. 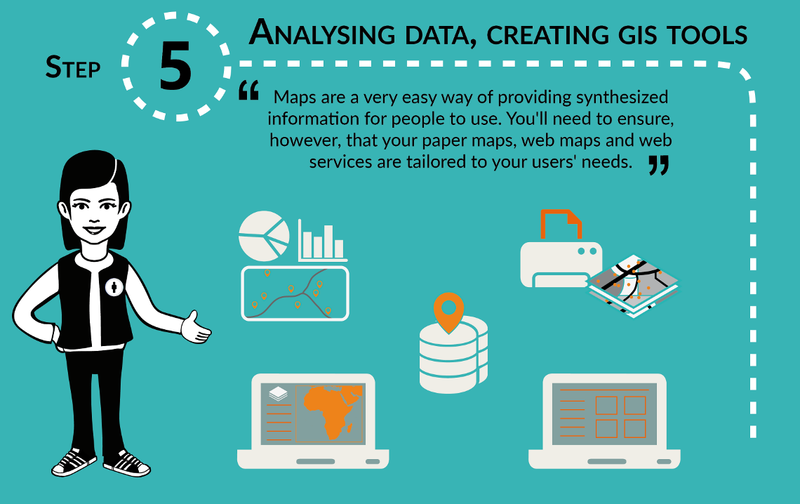 MSF Switzerland initiated in 2012 a reflection on the value of GIS in their operations. The last quarter of 2013 saw the beginning of a strong collaboration between MSF-CH and CartONG. 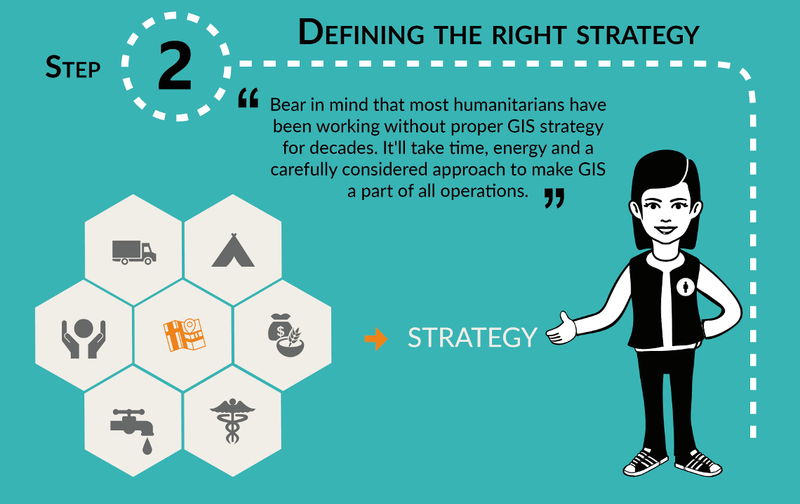 We support MSF-CH in defining their needs and are putting into place the first 2-years plan GIS strategy. CartONG has deployed numerous times to Terre des hommes delegations to give trainings and help with the general capacity building of national and international staff in the field on information management, mobile data collection and geographical information systems. A total of eight regional CartONG trainings have been organised since 2015, with a total of 74 participants and 23 countries trained on MDC throughout Tdh’s main intervention zones, with a number also trained on Information Management more widely. CartONG is implementing a map portal for UNHCR. 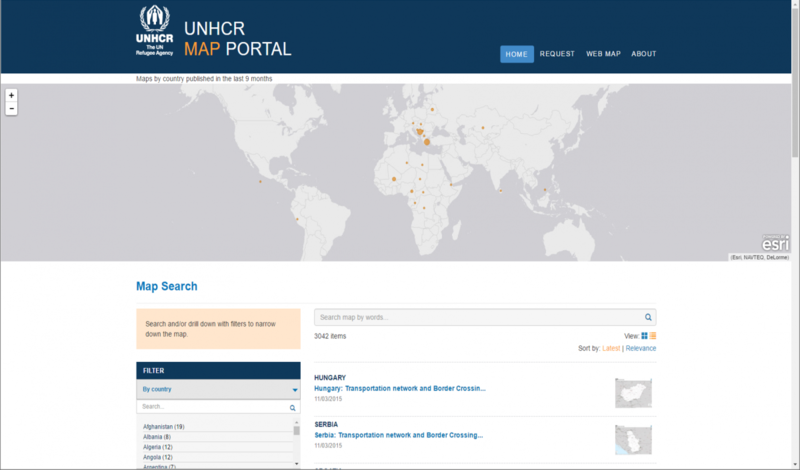 This portal is a repository of all pdf maps produced by UNHCR and in the future partners as well. Other mapping products such as webmaps are also available through the map portal and users can request new mapping products through the portal as well. 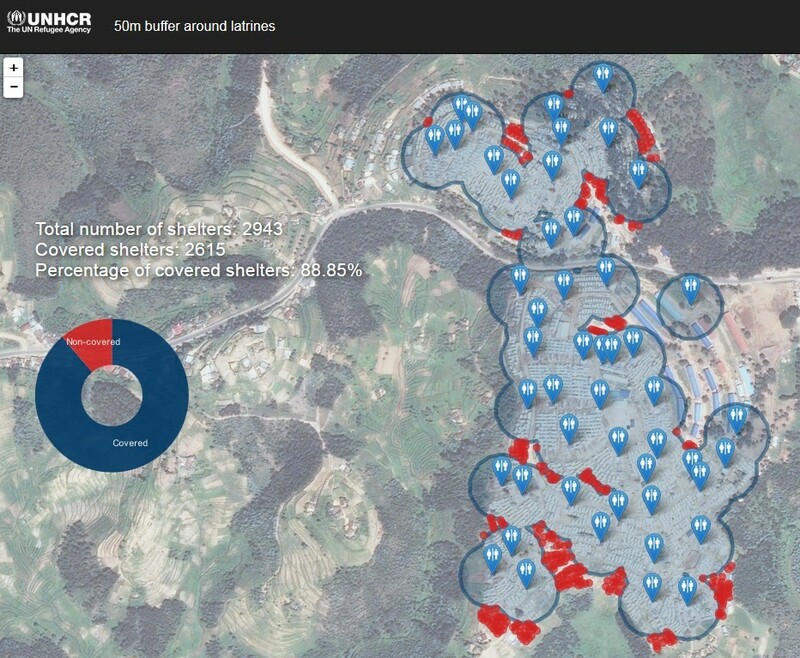 From installing and maintaining their ArcGIS servers to supporting modifications to database structure and enriching the database with new layers and linking to external databases, CartONG supports UNHCR in structuring their GIS webservices. CartONG also participates to the discussions in how GIS should evolve in UNHCR in the future. CartONG intervenes every year in different Bioforce Institute trainings (in particular project managers, WASH coordinators and Logisticians) in Lyon to heighten awareness on the uses a good mobile data collection and mapping can bring. These trainings are 1 to 2 days long. CartONG also gives trainings for Bioforce partners in the field, such as in 2017 for the Diakonie NGO in Chad- The training was composed of 3 days on project cycle management, with a strong emphasis on M&E (given by a Bioforce consultant) and of 2 days on MDC given by a CartONG staff​. Find out more here. Launch of the « EducAuRA, objective 2030 » project! Maps from here & abroad: a new adventure for CartONG! Monitoring of an environmental project in Ivory Coast: first successful implementation of GeoPoppy by CartONG! 11 mapathons organized in France & 15 days of awareness-raising in Africa: what a great OSMGeoWeek 2017 for CartONG! The Briefing Tool, a new ergonomic and touch-sensitive tool for MSF! The map of Goma is almost complete !